If you are developing Sitecore projects and for SPRINT demo to client we generally host it publically. Your development, demo, QA or test websites should be access publically but only to handful of people. One simple way is to keep login screen before accessing any page for that session. We have to develop this login feature in such a manner that it will be enable disable easily by single setting. How can we implement this login screen on Sitecore website? For this we will create some files in Visual Studio and items in Sitecore. In HELIX based project I like to keep login related files in “Sitecore.Feature.Navigation” feature. Create one Model item at “/sitecore/layout/Models/Feature/Navigation/LoginUser” and set Model Type value as "Sitecore.Feature.Navigation.Models.UserLogin, Sitecore.Feature.Navigation"
Create one layout item at “/sitecore/layout/Layouts/Feature/Navigation/SecureLogin”. 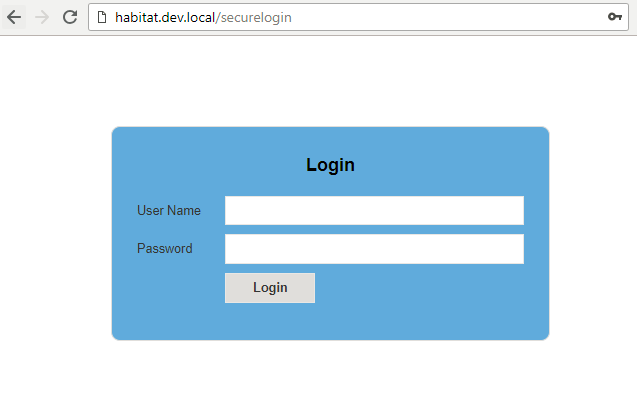 Set Path for view as "/Views/Navigation/SecureLogin.cshtml" and insert link for above model as "/sitecore/layout/Models/Feature/Navigation/LoginUser"
Now whenever any visitor tries to access public page, he must have to authenticate via login screen.